Stop me if you’ve heard this one: The health of workaholics who retire begins to deteriorate the moment they leave the work force. Once they slow down, the thinking goes, people might as well just stop. Like many retirement myths, there is no evidence to back up this trope. 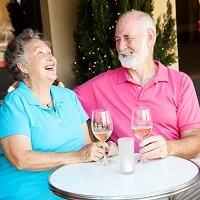 In fact, an Australian study in The American Journal of Preventive Medicine suggests that the exact opposite is true: retirees often begin to develop healthier lifestyles. The study analyzed data on more than 27,000 adults, most in their 50s and 60s and still working at the start of the study and followed their responses for three years, when more than 10% of them had retired. Retirement was associated with a significant reduction in smoking rates; sedentary lifestyles; and at-risk sleep patterns. The findings are important because the proportion of adults older than 60 is projected to more than double between now and 2050. While the study results are based on questionnaires and not detailed logs of retiree behavior, they do provide some encouraging signs that retirees, an ever-growing proportion of the population worldwide, have more than a steady health decline to look forward to. Once retired, a people’s lifestyle behaviors generally became healthier than those still working. Recent retirees spent more time walking (33 vs. 16 minutes a week), more time in overall physical activity (50 vs. 24 minutes a week), and less time sitting (67 vs. 27 minutes a day). They also slept longer, and there was no change in alcohol usage. Further research will be needed to isolate factors associated with the behavioral changes, which the study did not measure. “As one of the first studies to comprehensively examine a broad range of lifestyle behaviors in the context of retirement, the current study implies that retirement could represent a positive transition to a healthier lifestyle,” the study authors note.